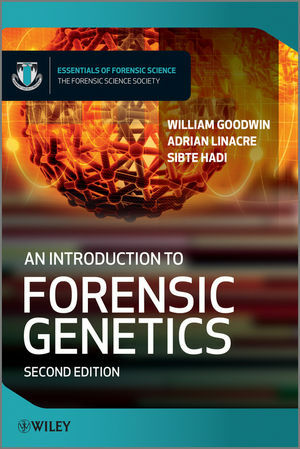 This is a completely revised edition of a comprehensive and popular introduction to the fast moving area of Forensic Genetics. The text begins with key concepts needed to fully appreciate the subject and moves on to examine the latest developments in the field. Now illustrated in full colour throughout, this accessible textbook includes numerous references to relevant casework. With information on the full process of DNA evidence from collection at the scene of a crime to presentation in a legal context this book provides a complete overview of the field. Greater in-depth coverage of kinship problems now covered in two separate chapters: one dealing with relationships between living individuals and the other covering identification of human remains. New chapter on non-human forensic genetics, including identification of bacteria and viruses, animals and plants. Self assessment questions to aid student understanding throughout the text. Accessible introduction to forensic genetics, from the collection of evidence to the presentation of evidence in a legal context. Included in the Forensic Science Society 'Essentials in Forensic Science' book series. This edition is to be included in the Forensic Science Society 'Essentials of Forensic Science' book series aimed at advanced level undergraduates and new practitioners to the field. Dr Will Goodwin, Senior Lecturer in Forensic Genetics, Faculty of Science and Technology, University of Central Lancashire. Dr Sibte Hadi, Senior Lecturer in Forensic Genetics, Faculty of Science and Technology, University of Central Lancashire. Dr Adrian M. T. Linacre, Department of Pure and Applied Chemistry, University of Strathclyde.